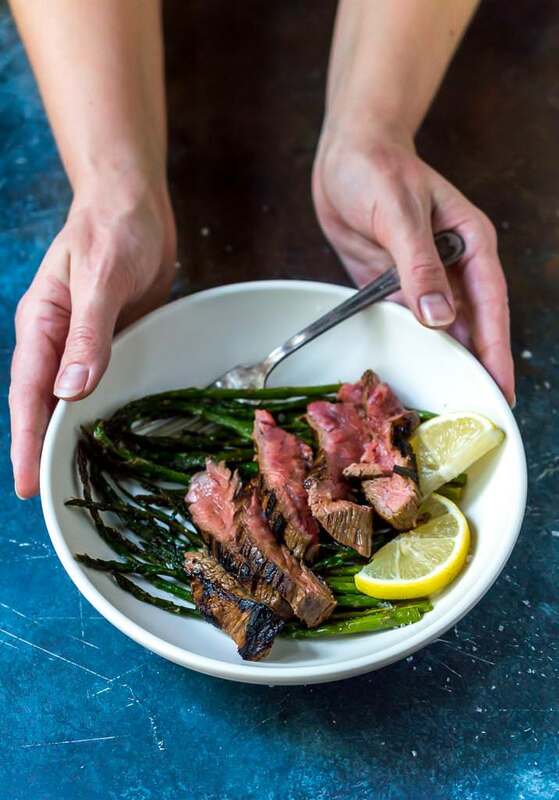 This Flank Steak Recipe is perfect for a quick and easy dinner. Flank steak cooked in a cast iron pan gets all that great char and flavor without having to fuss with a grill. The flank steak marinade has a bit of an Asian flair and tastes great with just about anything. 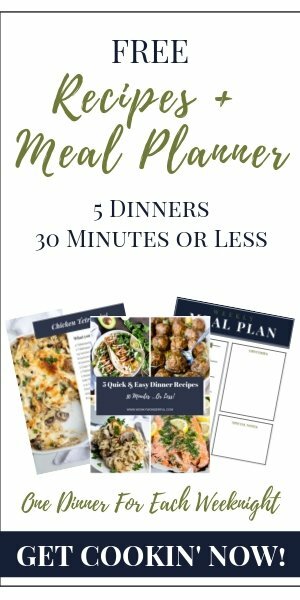 This recipe is Whole 30 Paleo compliant, gluten free, dairy free, low carb and Keto. I’ve tried to fall in love with grilling and be one of those grill girls. But if I’m being totally honest, most of the time I just don’t want to fuss with a grill. I don’t like gas grills because they don’t give you that bbq flavor. And charcoal grills take a bit of time and effort to get going. I just want to cook my food quick and eat it! Truth. So I save my grilling for special occasions and cook my steak in a cast iron pan the rest of the time. You don’t absolutely need a cast iron pan for this recipe, but it does get that great char and flavor on the flank steak similar to grilling. This Flank Steak Recipe can be adjusted to your preferences. If you prefer a lightly pink or even well-done steak, go ahead and cook 1 or so minutes longer each side. How long should you marinate flank steak? I always shoot for at least 2 hours. 3-4 hours is my preferred time. Some people marinate overnight but I don’t like to do that because I think it affects the texture of the meat. What if you don’t own a cast iron pan? No worries. Just use the pan you have and make sure it is nice and hot before adding the steak to the pan. What if you don’t have the ingredients for the marinade? You can do a very simple marinade with oil, lime juice or apple cider vinegar and salt. Just don’t go too heavy on the acid. How should you serve flank steak? 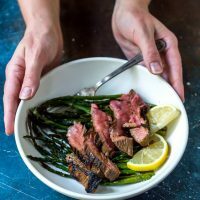 I like to eat my flank steak with veggies (check out the recipes below for ideas). This steak is great in tacos, burrito bowls, sandwiches, wraps or alone. You will need a ziplock bag for marinating, a Meat Thermometer for checking the temperature and a Cast Iron Pan for that great char. 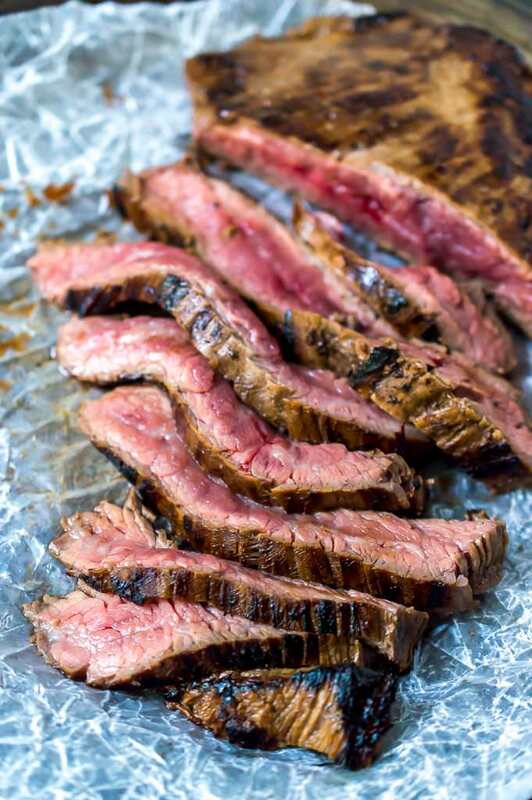 What should you serve with this Flank Steak Recipe? Roasted Green Beans with Bacon, Oven Roasted Potatoes, Balsamic Mandarin Orange Salad or Asian Cucumber Salad. Or you can make this Spicy Shrimp Bowl and swap the steak for the shrimp. 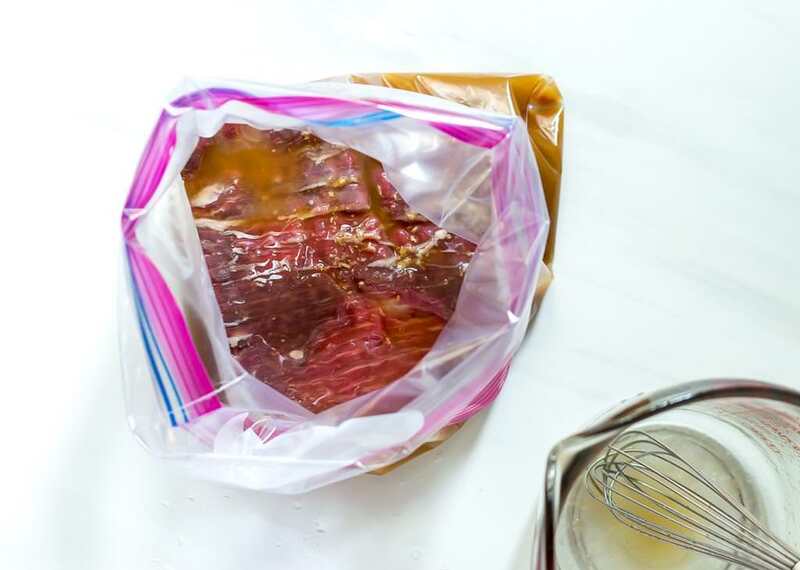 Place flank steak in a gallon ziploc bag. Mix all marinade ingredients then pour into bag with steak, seal bag. Marinate in the refrigerator for at least 2 hours, 3-4 hours for best results. Heat cast iron pan on stove over medium/high heat for 3-4 minutes. Take flank steak out of bag and allow any excess marinade to drip off. 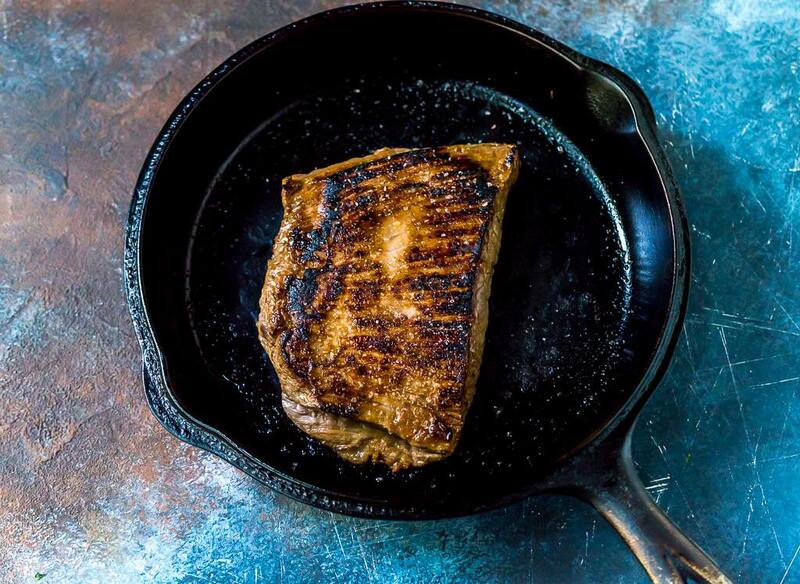 Place steak into hot pan and cook each side for approximately 4 minutes. 4 minutes each side will typically make a steak on the rare side (depending on thickness of flank steak). 130º-135º internal temp will be medium rare. Adjust cooking time according to preferences. Remove flank steak from pan and transfer to a cutting board. Season each side with sea salt and allow to rest for 5 minutes before slicing.